The Attack on Eve was given to me on February 27, 2009. I was at my lowest and darkest chapter of my life. In December 2008, my son's heart stopped beating We were faced with either a funeral or genetic testing to investigate why our baby did not survive. I had been taught either by family or pastors to hear from God and He will lead you. I was not prepared to audibly hear from Him I was not even in prayer nor deep thought when He spoke to me. I was taking the laundry from the dryer and at the same time my family decided to come into the laundry room to see me. Somehow they were muted and God's voice was all I heard He spoke clearly and calmly. 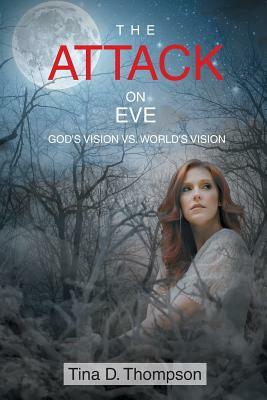 He said, "Daughter, write a book and call it The Attack on Eve. I will give you eight chapters." I began my journey with, "Yes, Lord " God may ask you, too. Will you hear His voice in the wilderness to point people to Him?